Living the Dream RTW has proposed a Travel Photography Roulette game among travel bloggers. This week the theme is animals, and this is my awesome entry. 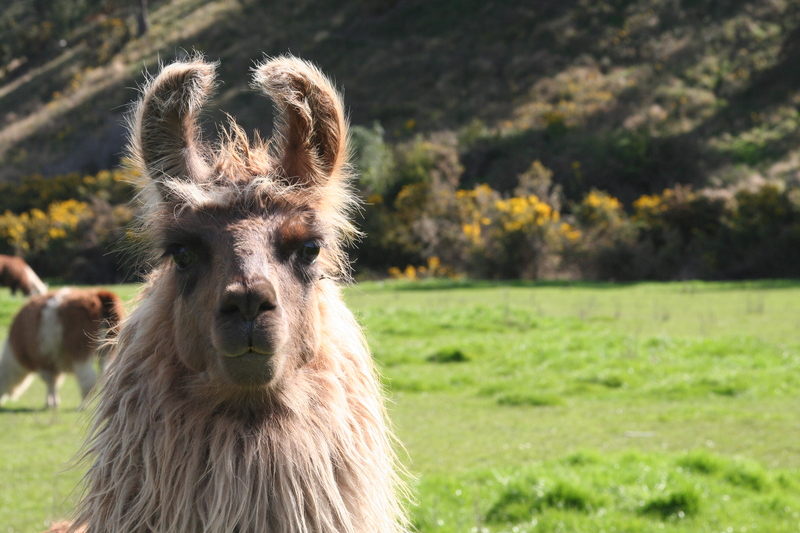 Llamas and sheep alike, tend to stand and stare at you for amusingly long periods of time. Although I am somewhat afraid of llamas due to their funky, chompy teeth, playing the staring contest with them is quite entertaining. They usually win, but now I WILL WIN… win photo roulette that is….